Extra bed available only in Superior and Apartment room types for extra cost: 20 EUR per night and 10 EUR for SPA area visit (sauna/turkish bath, jacuzzi). • Free WiFi, Fitness room and car parking. Special offer for two person! For an additional fee golf club equipment rental! Use this offer for business class rooms! Jurmala Golf Club offer! ONLY 135EUR! Special offer for one person! Give someone a perfect gift! 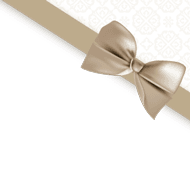 We offer to get Gift vouchers for all types of services provided by Bellevue Park Hotel Riga! * Your choice of combining services. We will prepare a gift card like a gift in electronic or printed form. The price of a gift card depends on which services you want to get! Blackheads House Offer! ONLY 59 Eur! Already for 700 hundred years the House of Blackheads pleases and enraptures inhabitants and guests of Riga. This is one of the most magnificent buildings in Riga, preserving both the unique historic heritage of the legendary Brotherhood of Blackheads, and the history of Riga. * Use this offer for business class rooms! * Join the free Privilege program and get 10% discount! SPECIAL OFFER IS VALID UNTIL 1.03.2019 - 30.04.2019!!! •	Complimentary WIFI, use of fitness room and parking. We all like surprises - but seeing your love, best friend or family member happy, it's even more pleasing! * other: upon a request. Surprise will be put into your room on the arrival day! The price of the surprise depends on your choice! Enjoy an interesting excursion with this special offer from Bellevue Park Hotel Riga! Additional opportunity: Relaxation in SPA center (sauna/ turkish bath, jacuzzi) for a special price of 10 EUR per person. * Use this offer also for business class rooms! SPECIAL OFFER IS VALID UNTIL 1.03.2019 - 28.05.2019!!! Additional opportunity: Relaxation in SPA center (sauna/ turkish bath, jacuzzi) for a special price of 10 EUR per person. A discount of 15% on drinks at the hotel’s Lobby Bar. SPECIAL OFFER IS VALID 1.03.2019 - 28.05.2019!!! •	2 movie tickets for one seanse at the „Kino Citadele” movie theater, excluding the SCAPE hall. Additional possibility: Sauna, steam bath and jacuzzi at a special price of 10 EUR per person!